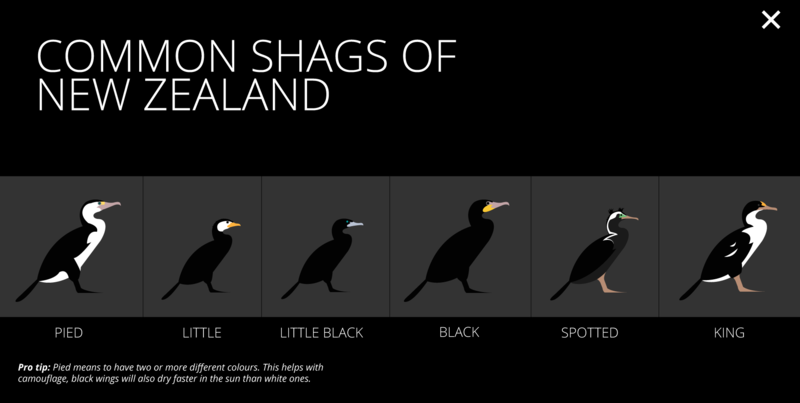 12 of the 40 species of shags (Phalacrocoracidae — both shags & cormorants) in the world live in New Zealand. 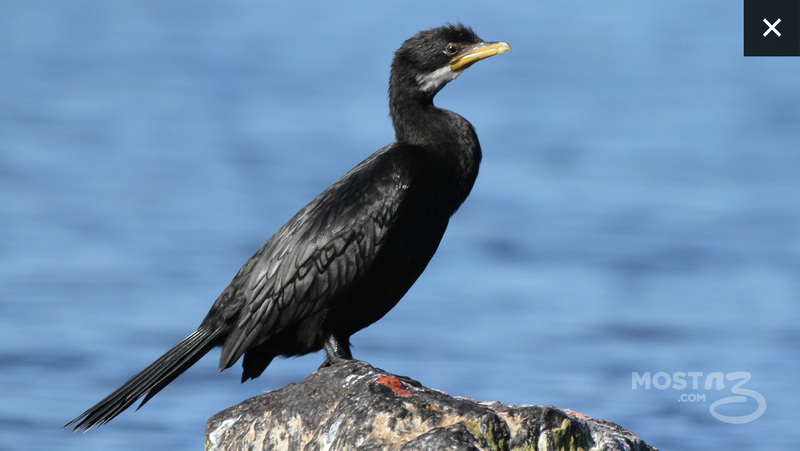 Shags like to spread their wings and warm themselves in the sun more than other seabirds because their feathers are not waterproof. 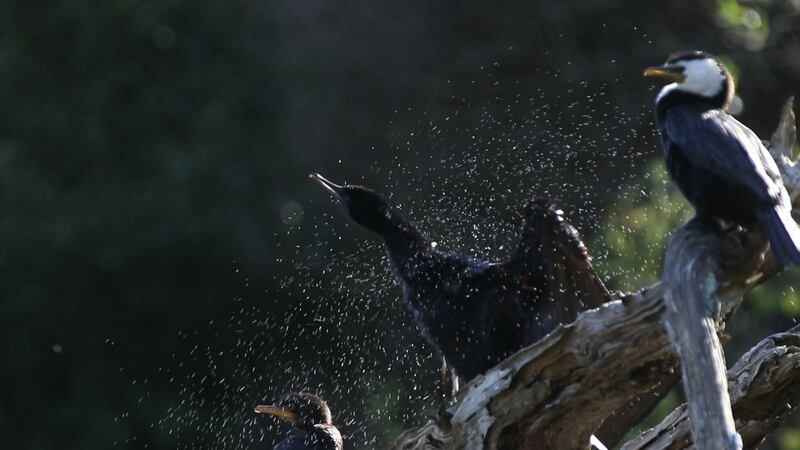 However their wet feathers help them swim after fish for much longer.  The New Zealand king shag may be the world’s deepest diving shag, it only exists on a few rocky islands just outside the Marlborough Sounds. 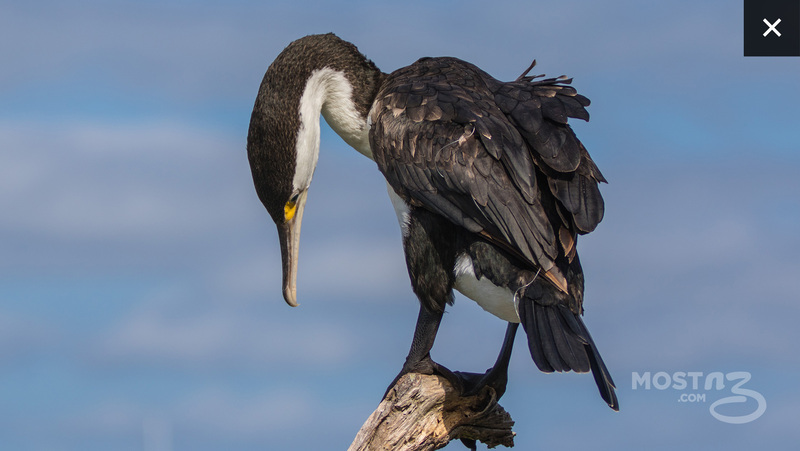 There are only 600 of these shags left in the world but the population is stable. Shags benefit from the conservation of rare species like the yellow-eyed penguin. You can see them both on the Otago Peninsula, Dunedin. 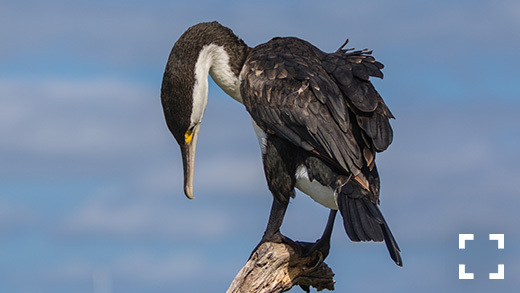 You are unlikely to see the other New Zealand shags (like the Bounty Island shag) as they are endemic to their islands. Note birds feathers change with season and age, visit nzbirdsonline.org.nz for a thorough identification guide. Shags can be found in New Zealand’s great lakes and rivers, this juvenile little shag is in Taupo.